Grandfather Vineyard & Winery planted their first grapes in 2003 and opened its doors to the public in in 2011. 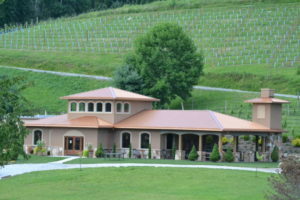 Now producing 20 different wines, Grandfather Vineyard & Winery is the wonderful place to taste and find your favorite. 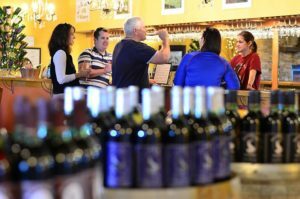 In their tasting room, they offer a variety of both white and red dry wines as well as some sweet wines. Choose from one their 4 tastings (1/2 oz. pour of each) and you get to keep your Grandfather Vineyard wine glass as a memento! Current tastings include: 8 Dry Wines for $10, 4 Dry Reds for $6, 4 Dry Whites for $6, and 4 Sweet Wines for $6. No reservation required! After your tasting, share a bottle of your favorite wine and walk through the vineyard or sit and relax by the creek. 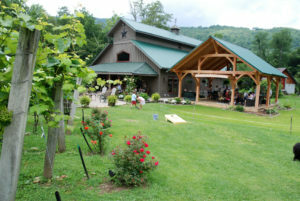 The serene location of Grandfather Vineyard & Winery offers a beautiful profile view of Grandfather Mountain. The grounds are dog friendly, but please keep them on a leash. 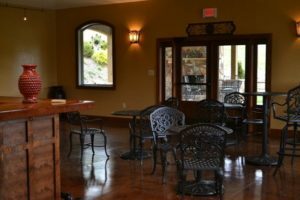 The winery offers local cheeses, crackers, and snacks and you are welcome to bring your own outside food. 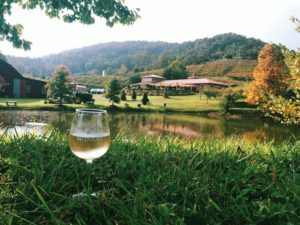 Enjoy the atmosphere of this family-owned vineyard and winery and their vast variety of delicious wines! 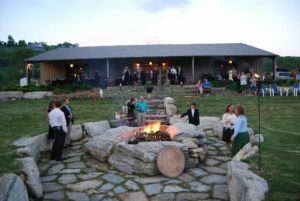 North of Grandfather Vineyard & Winery, you will find the beautiful Banner Elk Winery & Villa nestled in the Blue Ridge Mountains. 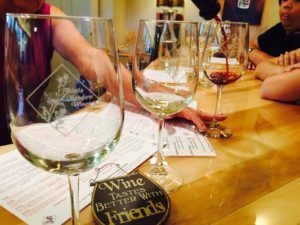 Many of their wines have won medals at international wine competitions in Sonoma County, California and regionally in Raleigh, North Carolina. For $10, you get to taste several of their current wines based on availability, harvest, and season in their beautiful tasting room. 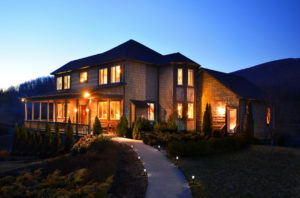 Then, enjoy a glass or a bottle of your favorite as you relax outside by the fire pit or creek. They offer chairs, benches, and picnic tables to sip and socialize, and sometimes there is even live music! 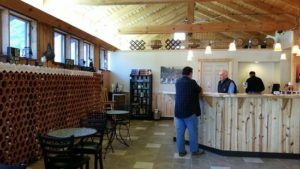 The winery is also located on a historic blueberry farm and even offers blueberry picking to the public when it’s in season (usually late July to early August)! If you feel like you never want to leave, book a stay in the Villa! The Villa offers eight gorgeous suites, all unique! Each suite features a king or queen sized bed adorned in luxurious linens and abundant pillows, private jacuzzi tubs and breathtaking mountain views from every window. Enjoy a glass of wine on the veranda and take in the refreshing air of the Blue Ridge Mountains! 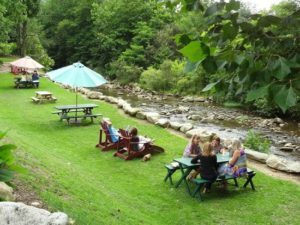 About 18 miles south of Banner Elk, you will come to the Linville Falls Winery. This 40 acre vineyard grow a variety of grapes which include Seyval Blanc, Noiret, Marquette, Petit Verdot, Marechal Foch, and their flagship grape, Riesling. They also grow blueberries, blackberries, raspberries, heirloom apples, pumpkins, and Christmas Trees throughout throughout the farm. This variety of growth makes for some interesting wines that other wineries do not offer such as the blueberry, strawberry, apple, cherry, and blackberry wines! So even if you’re not a wino, they probably have a fruity wine for you! April through October the tasting room is open daily from 12-6 pm and tastings are $7. After you pick out your favorite, grab a glass or share a bottle and relax under a covered patio. Experience live music at the winery throughout the summer or check their calendar for events such as The Annual Grape Stomp and Honey Bee Festival! 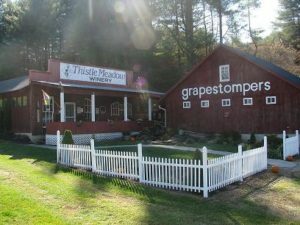 Located about 18 miles east of West Jefferson, you have to hit the Thistle Meadow Winery in Laurel Springs, North Carolina. Thistle Meadow Winery is unique because they make wine in small batches from grapes grown around the world. 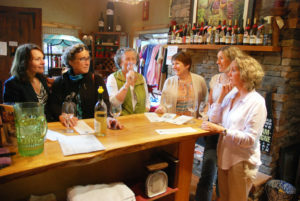 At only $5 a tasting, you are able to taste up to 5 different wines! After the tasting, buy a glass of your favorite one and keep your glass as a souvenir. While sipping your distinctive wine, take a tour of the winery and get a “behind the scenes” look at the wine making process. Thistle Meadow Winery can even print custom labels for your wine to give as a gift and create a custom wine or blend that matches your specifications!